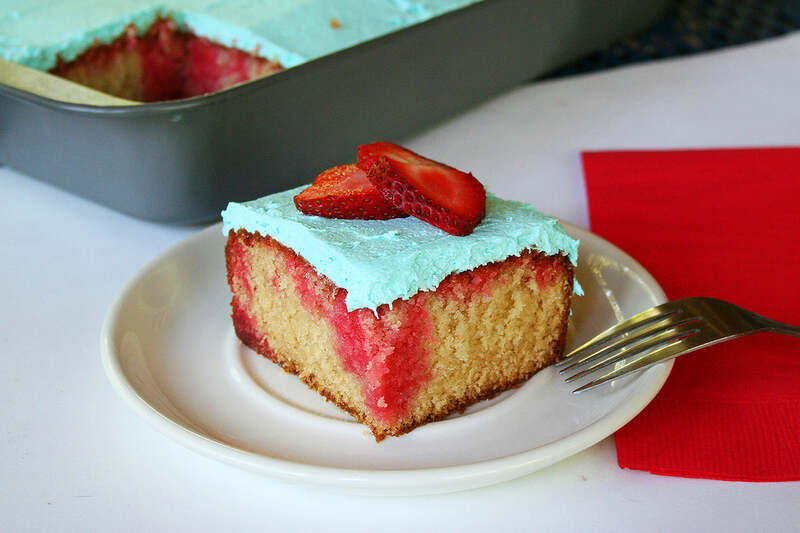 What’s red, white, blue…and completely delicious? This creative and eye-catching peanut butter and jelly poke cake, dressed up in its patriotic best. 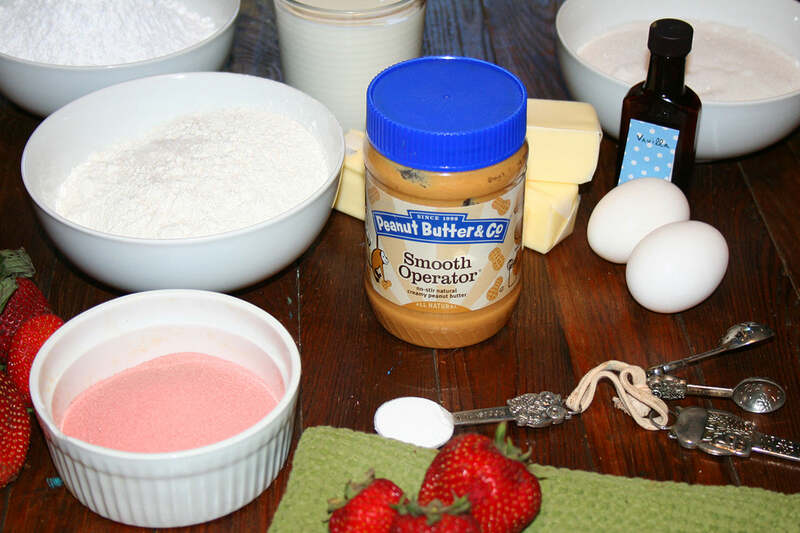 This recipe starts with a buttery, rich Smooth Operator peanut butter sheet cake, which is “poked” all over with a skewer post-baking and then smothered with a “jelly” inspired strawberry-and-gelatin soaking liquid. 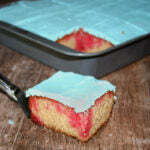 The liquid sinks in the spots where the cake was pierced, giving it irregular but lovely red stripes. 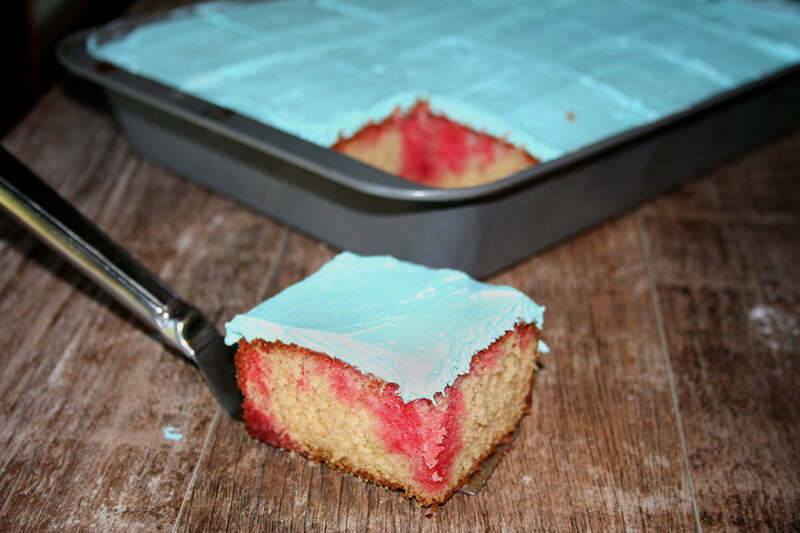 Finished with a bright blue peanut butter buttercream, this cake is a beauty to behold, and the perfect picnic cake for your Fourth of July festivities. 1. 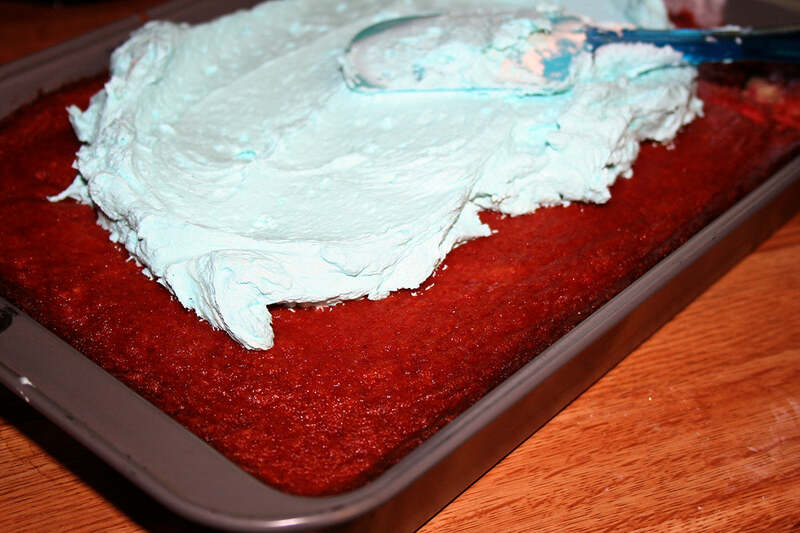 Generously grease the bottom and sides of a 9×13-inch baking pan. If desired, line the bottom of the pan with parchment paper. 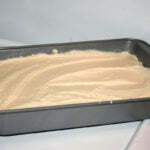 In a large bowl, sift together the flour, salt, and baking soda. Set to the side. 2. 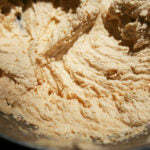 In the bowl of a stand mixer fitted with the paddle or rotary attachment, cream the butter and peanut butter until creamy and mixed, about 2 minutes on high speed. 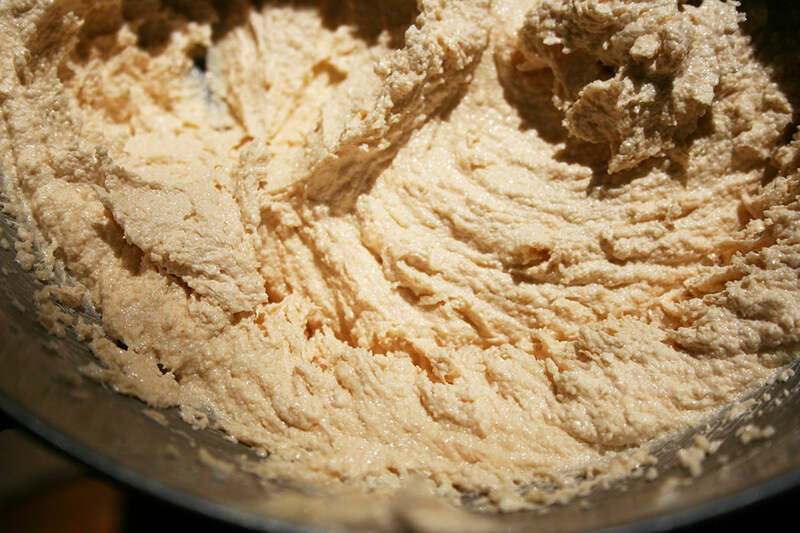 Add the sugar, and continue mixing until the mixture is light and fluffy, about 2 more minutes on high speed. Pause the mixer and scrape down the sides of the bowl with a rubber spatula as needed. 3. Pause the mixer, and add the eggs, one at a time, mixing on low speed after each addition and scraping the sides of the bowl as needed. Stir in the vanilla. 4. Add the flour mixture and the buttermilk in 2-3 additions each, beginning and ending with the flour. Do not overmix. 5. 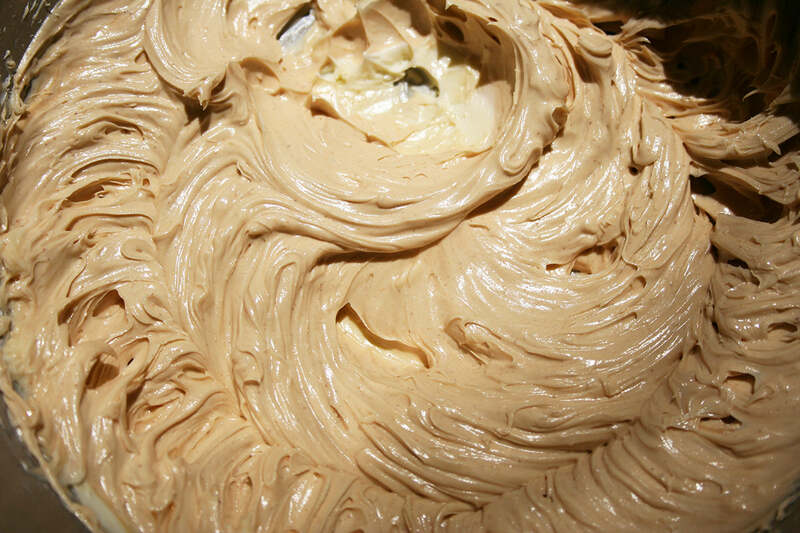 Spread the fairly thick batter into your prepared pan. Bake for 35-40 minutes, rotating the pan at the 20-minute mark. 6. 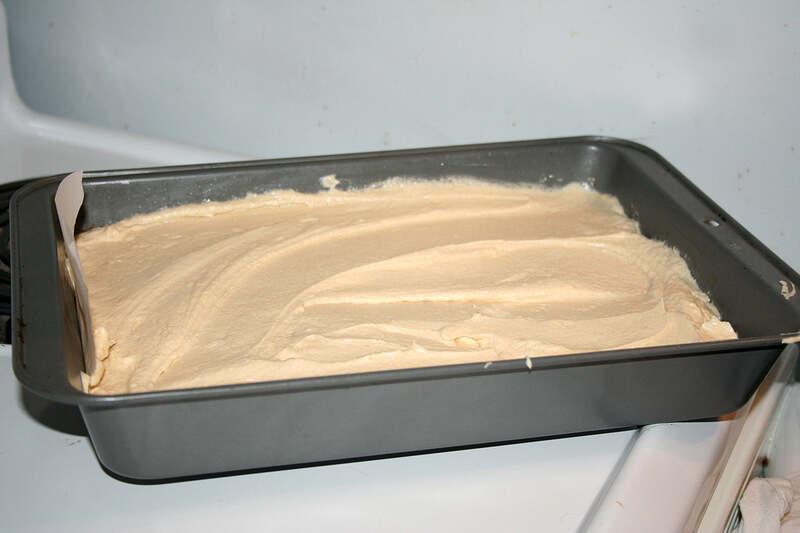 Remove the cake from the oven, and let it cool for several minutes. While it cools, prepare the filling. 7. 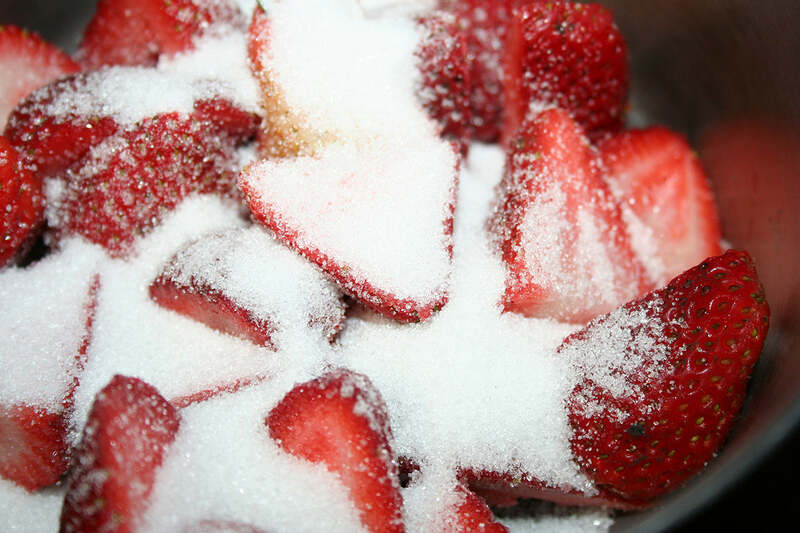 Combine the strawberries and sugar in a medium saucepan. 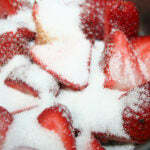 Cook over low heat, stirring frequently, until the strawberries begin to release juice. You can gently mash the berries to get more liquid out of them. Once the berries feel completely softened and cooked, remove from heat. Strain the liquid, reserving the berries. 8. Place the gelatin powder in a heatproof bowl. 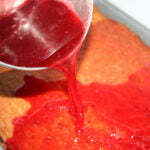 Add the boiling water and the strawberry liquid, and mix until the gelatin is totally dissolved. Stir in the cold water, and whisk until the gelatin begins to slightly thicken. 9. 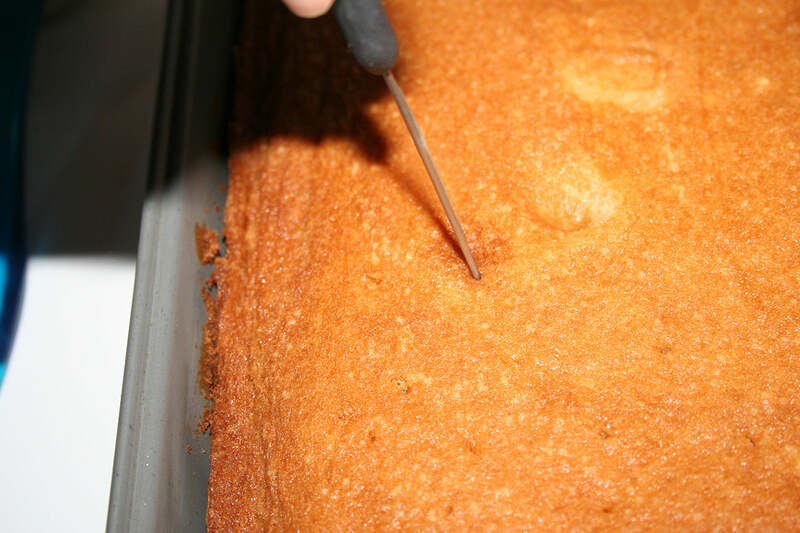 Poke the surface of the cake all over with a skewer, at 1/2 inch intervals. 10. 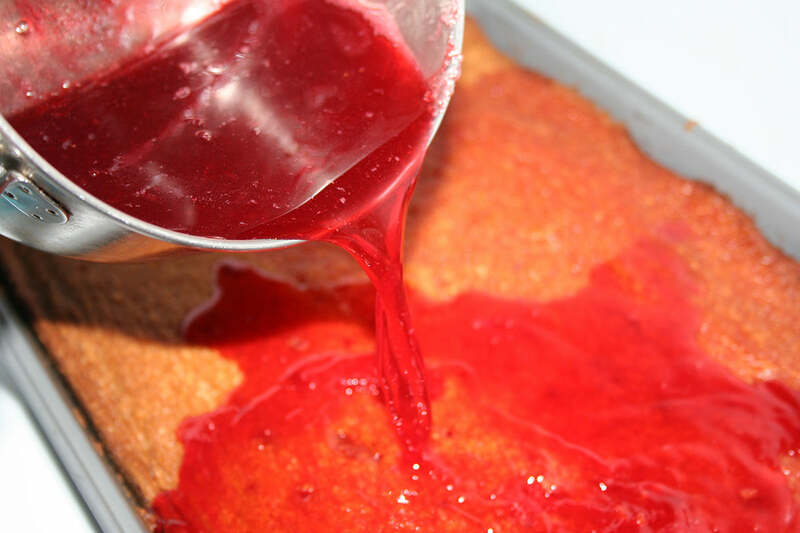 Pour the slightly thickened but still pourable gelatin mixture over the cake, evenly pouring it on top. 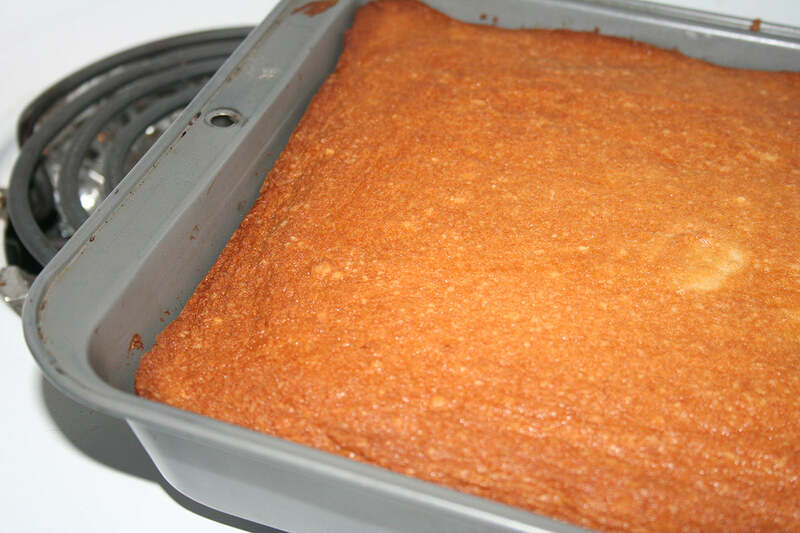 Let the cake cool to room temperature before frosting. 11. 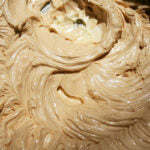 To make frosting, cream the butter and Smooth Operator peanut butter until smooth and creamy. 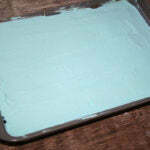 Add 3 cups of the confectioners’ sugar, and mix on low until incorporated. Stir in the vanilla. 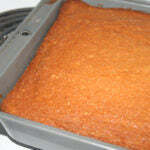 Add the remaining sugar, one cup at a time, until you have reached your desired spreading consistency. 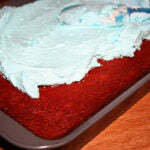 If desired, tint the frosting blue with blue food coloring. 12. 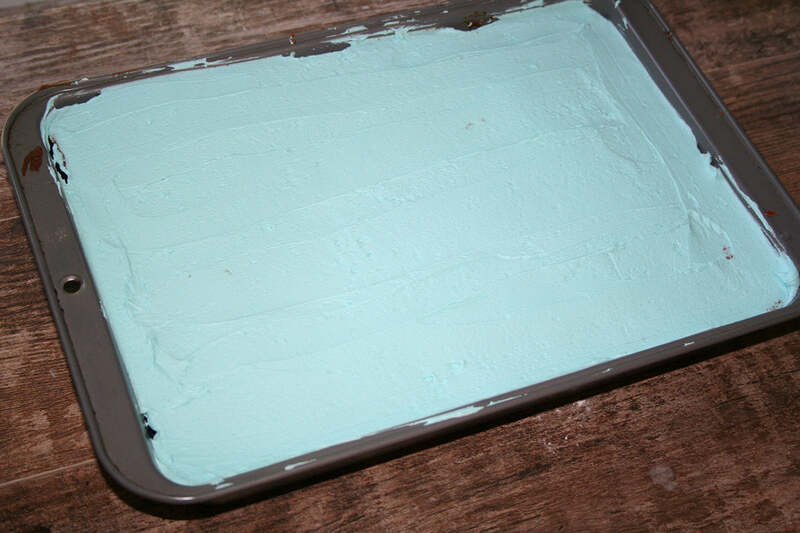 Spread the frosting on top of the cooled cake (still in the baking pan). 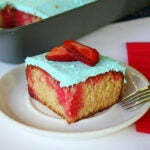 Slice into 12 rectangles, and top individual slices with either fresh strawberry slices or the reserved cooked berries from step 7. 13. Store leftovers, well wrapped, in the refrigerator for up to 2 days. 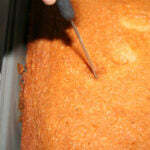 Let the cake come to room temperature before serving. 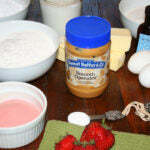 The post Peanut Butter and Jelly Poke Cake appeared first on - Peanut Butter & Co. Recipe Blog.